First Look: Look Out, Kurt — New 'Villain' Sebastian is Going After Blaine! There's more drama coming to "Glee" this season when the series returns from hiatus in the coming weeks. Kurt and Blaine, the much buzzed-about couple who have been squarely in the honeymoon phase since they locked lips last season, are getting a roadblock in the form of Sebastian, a new Dalton Warbler set to shake things up in the Klaine union by gunning for Blaine's affection on the Nov. 8 episode. 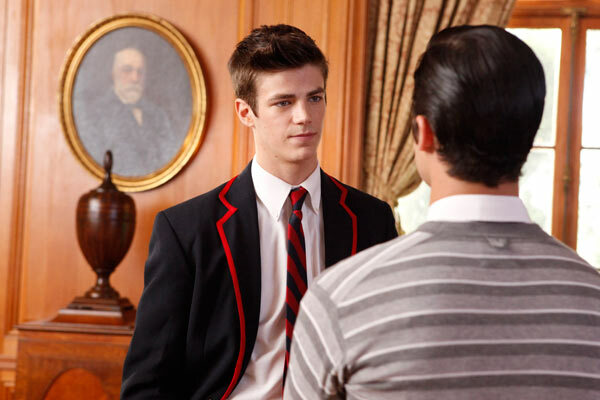 We chatted with Grant Gustin, the man behind the new boy in town, and while our full Q&A won't be live until next week, to tide fans over here's some quick soundbites on Gustin's "Glee" experience and what to expect when the new villain makes his debut! Sebastian is new to Dalton. He's a gay character, obviously, but he's kind of a new type of gay character. He's someone you wouldn't necessarily know is gay unless you asked him, but he'd be the first person to tell you. He's very confident and comfortable with who he is and what he wants. Darren (Criss) was that new confident strong gay character, and Sebastian is taking that a step further. He's a guys-guy, just a dude who happens to be gay. He's a lacrosse player, he's popular. 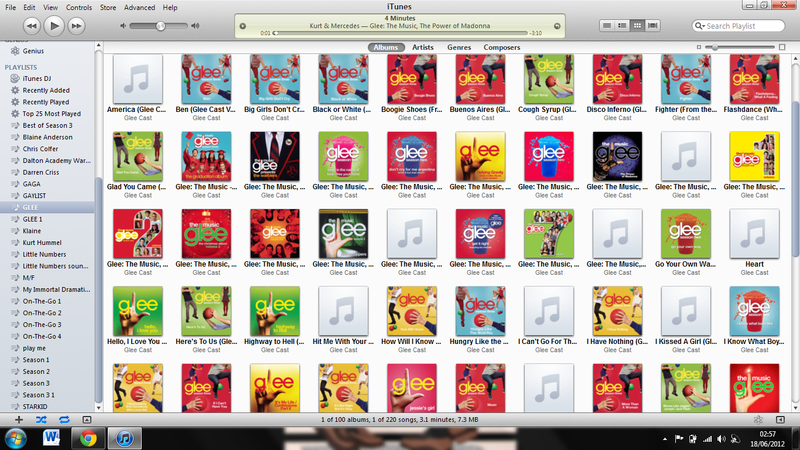 He's after Blaine, obviously, and he's also trying to take the place that Blaine had as the leader of the Warblers. He's been referred to as a villain, which I guess is true in the sense that he's going to get what he wants and he doesn't care who he steps on along the way, but he does so with a smile on his face. Darren was actually very cool, he would walk me through things as they were happening, helping me figure out what everyone's job was and the lingo of a set. I had no idea how wide a shot was or how tight a shot was, what the guy next to me was doing touching my costume between takes. Darren was really cool helping me figure out the ropes, and he wanted to be really clear he wasn't demeaning me. But I was like "No, bro, I need it!" Everyone was really cool and nice to me, and they didn't need to do that! They're TV stars and I'm nobody! I shouldn't say too much, but I will say that it's a pretty big character reveal. I'd be surprised if you didn't see too much more of Sebastian. But to be honest I do not know how much I'll be around. It's set up that it could go either way. And that's all I can say about it.